Happy Holi Celebration Around The World | Holi Images Poems Songs :- Holi knows no bars, Holi knows no boundaries too. Across the world wherever Indians or people of Indian origin are present Holi is celebrated with gusto and bonhomie. 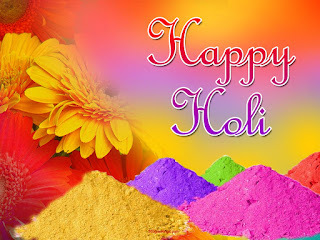 People play with colours, light a bonfire called Holika and celebrate the victory of good over evil. Bengal region has a multifaceted culture due to the influence of Buddhist, Hindus and Muslim cultures. Though the country is Muslim dominated, Hindus too celebrate their festivals with gaiety. Of course, the pomp and show of Holi as witnessed in India is missing, nevertheless, celebrations do take place. Hindu community gather in temples and exchange greetings with each other and play with colours. Located in the north-east coast of South America, Guyana celebrates Holi with great fan fair. 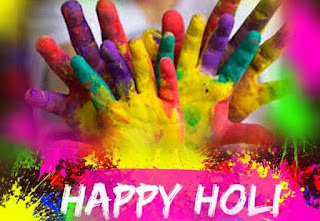 Holi or Phagwa, as the Guyanese better know, is celebrated by the singing of special songs called Chowtaals and by the spraying of coloured powder (abrack) and water (abeer). Children take special delight in the festival and submerge any passerby with their colourful water jets called pichkaris. 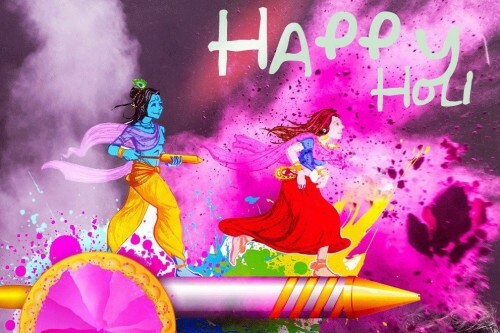 Just as the many other major Hindu festivals, the large Indian majority, (about 63 per cent) celebrate Holi with a lot of enthusiasm in the island of Mauritius. 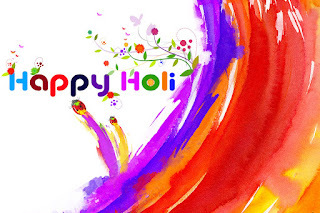 It is an official holiday in the country and therefore people get all the time to make merry and drench themselves in the spirit of Holi and of course, colour water. Holi is celebrated with great pomp and show in Nepal. Celebrations lasts for a week in which the entire country gets drenched in the coloured water. Celebrations are of marked importance at Terai and also where Indian community mainly Marwaris have settled. Families and friends get together and celebrate the occasion with a lot of merry making. Hindus residing in Pakistan also celebrate holi, though, of course, in not as grand a fashion as seen in India. People celebrate the victory of good over evil forces by lighting bonfires called Holika. The tradition comes from the legend of Prahlad and Hiranyakashyap. In fact, people follow the same traditions and rituals as in India due to their roots in India. People clean their houses and prepare special delicacies like gujiyas, papri and dahi badas. They meet up with friends and play with the colours, dance and generally have good time. Indians wherever they may be, takes immense delight in celebrating the festival of Holi and South Africa is no exception. The vibrant Gujarati's and other Indians settled in South Africa have made it a point to keep the tradition of celebrating Holi alive in the country. They play colours, light bonfires called Holika, sing Holi songs and make merry. The evenings are spent in meeting friends and relatives and exchanging greetings and sweets. 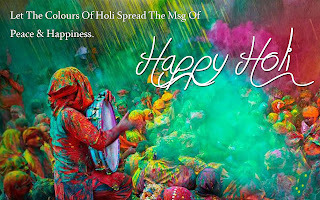 Holi is celebrated with lot of mirth and excitement in Surinam which has a large number of Indians. Hindus constitute about 35-40% of the population, an important part of this is people who immigrated from Uttar Pradesh and Bihar. Just as in India, people here take great delight in spraying colour on each other and singing Holi songs. Holika is also burnt on the eve of Holi which is symbolic of victory of good over evil. Holi is celebrated with a lot of pomp and eclat in twin island states of Trinidad and Tobago which has a large Indian diaspora. Here, it is largely known as Phagwa. Holi is said to have come to Trinidad around 1845 by the Hindus who migrated from Bihar as contractual labourers on the sugarcane field. Since then it is being celebrated every year with great enthusiasm. 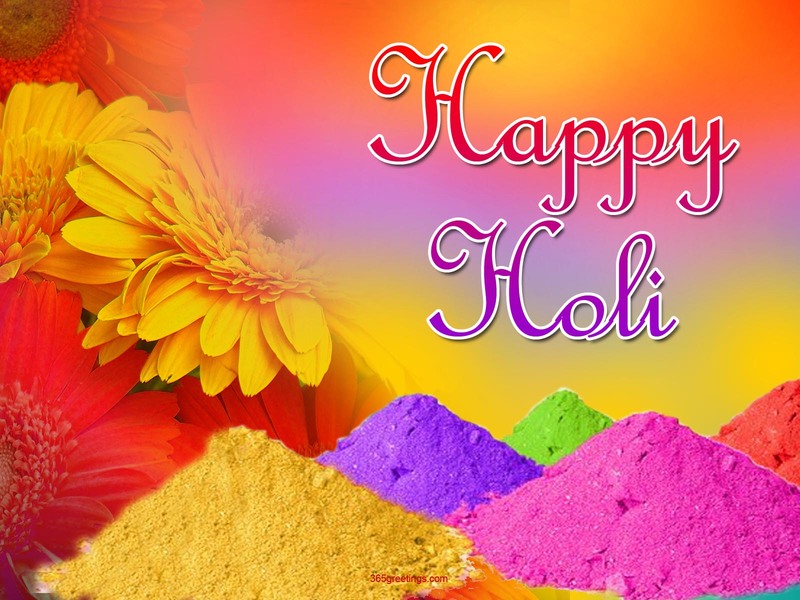 Hindus settled in UK do not miss out the excitement of Holi celebrations and enjoy to the hilt. Zeal for the festival is particularly marked in this country as Indians constitute the second largest ethnic minority. Celebrating festivals help them to feel close to their families and cultural roots. The celebration of Holi is noticeable at places that witness a large congregation of Indians. The British city of Leicester is particularly known for its love for celebrating Indian festivals. 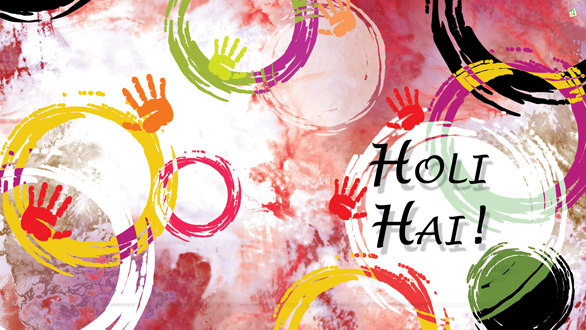 Excitement reaches its peak when the occasion is that of celebrating a joyous festival like Holi. With a large population of Indians settled in the United States of America, Holi is celebrated with gaiety and lot of fanfare in this country. Different societies formed by the Indians and religious organisations help people to celebrate this joyous festival and feel close to their cultural roots. Music programmes and Holi Meets are also organised by them to mark the occasion. These meets help the new generation to identify with their cultural root. Children learn to understand the significance of celebrating festivals and know legends asociated with them. 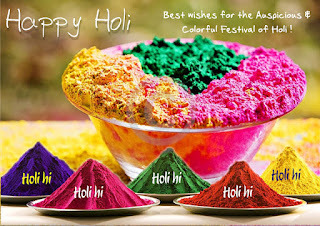 When it's time to send Holi wishes to loved ones people simply look for some good Holi festival SMS. Well, sending a Holi SMS is the best way to shower your heartiest feelings and blessings on the dear ones and to those who stay far off. 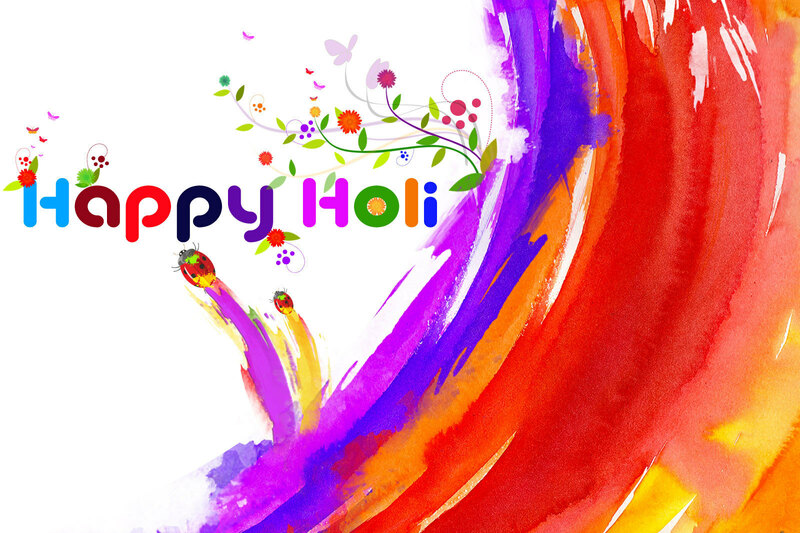 Here is a great collection of Holi greetings to share special feeling of the festival with your friends, family and close ones. 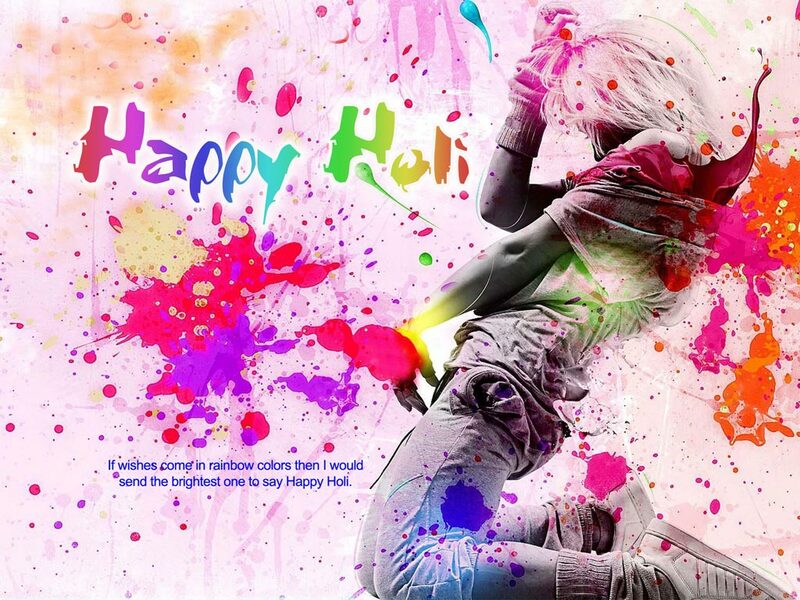 You can also send us some interesting Holi SMS and enrich our section. Khushiyan ho overflow,masti kabhi na ho low. Dosti ka surur chhaya rahe,jeb me bhari maya rahe. 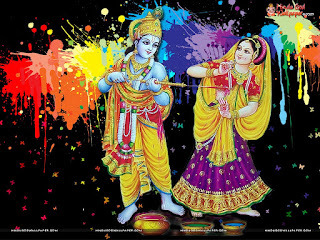 Phagun ro mahino ayo,ayo Holi ro tivar, jumo, nacho, rang udao, khushi manao apar, Holi ro ram ram. Happy Holi 2u n ur family. Wish you a “Happy Holi”. aapke jeevan ko rang de ye shubha kaana hai hamari. 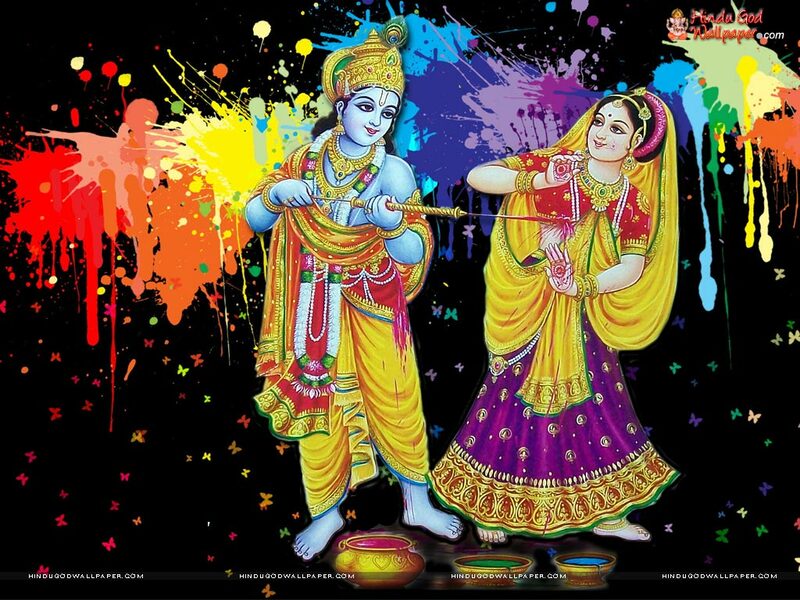 India is a great country of festivals, festival of lights, festival of seasons, festival of dance and festival of colors holi. When we talk about festival of colors the name Holi immediately flashes to our mind. 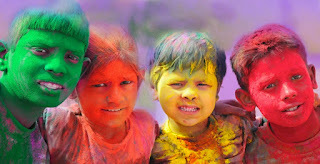 Holi is the ultimate celebration of sharing and playing with wonderful colors like red, blue, green yellow, pink and soon. Those dear and loved ones, who are near you, will definitely feel being in heaven while playing this festival. What will you do if some of your loved ones or friends are away from you during this occasion? 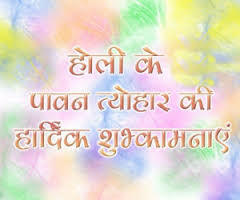 You can use colorful Holi sms to wish a happy festivity to your friends. 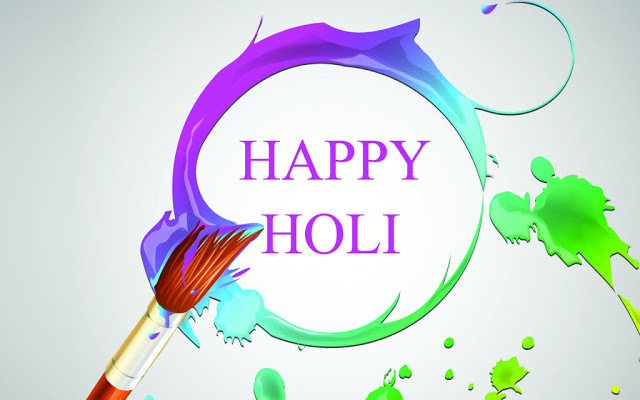 Just send Holi sms to your friends and relatives and feel the difference. You could send the best Holi greetings online or even through your mobile phone. 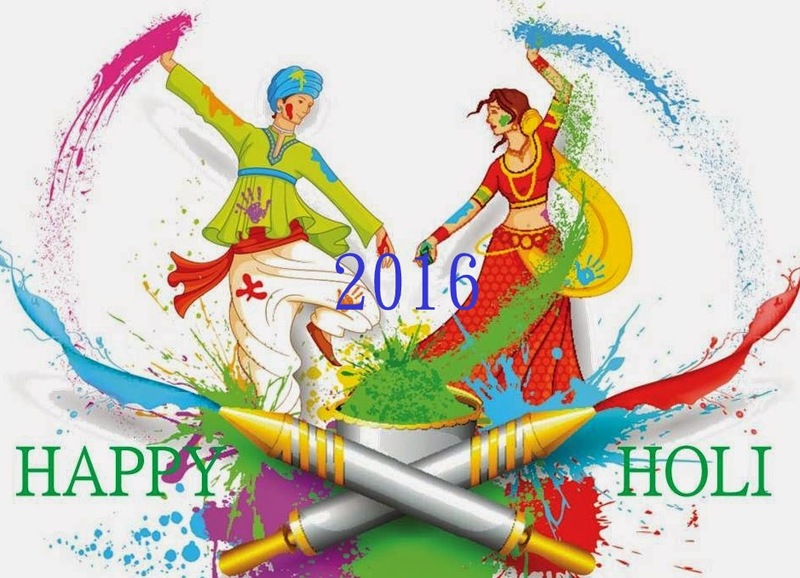 Now many websites and e-greeting services are online to help you for choosing and sending the best Holi quotes. Distance doesn't matter to share the feelings of joy and celebration. Even if your friends are away from you in another city or country, you could make them smile with a best Holi sms. They would feel you being very near to them at this important celebration of colors. Just make Holi a memorable and happiest occasion of your life this year. 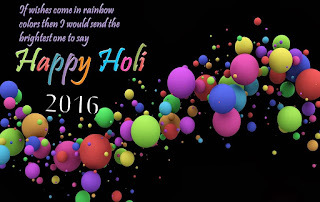 Send happy Holi msgs and greetings your friends and near ones to make them smile and happy. 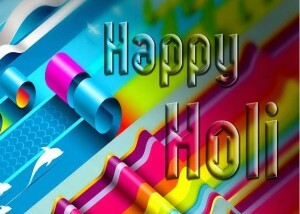 Heartist Holi greetings 2 all. bhabhi, bhaiya, shali holi ki bdhai ho sabko.